It’s October and our fall publishing season is in full swing. Check out all the great books coming out this month. The contributors to The Apartment Complex, edited by Pamela Robertson Wojcik, offer global perspectives on films from a diverse set of genres—from film noir and comedy to horror and musicals—that use apartment living to explore modern urbanism’s various forms and possibilities. In See It Feelingly Ralph James Savarese showcases the voices of autistic readers by sharing their unique insights into literature and their sensory experiences of the world, thereby challenging common claims that people with autism have a limited ability to understand language, to partake in imaginative play, and to generate the complex theory of mind necessary to appreciate literature. In Channeling the State Naomi Schiller explores how community television in Venezuela created openings for the urban poor to embrace the state as a collective process with the potential for creating positive social change. J. Lorand Matory’s The Fetish Revisited casts an Afro-Atlantic eye on European social theory to show how Marx’s and Freud’s conceptions of the fetish illuminate and misrepresent the nature of Africa’s gods while demonstrating that Afro-Atlantic gods have their own social logic that is no less rational than European social theories. The contributors to the volume Digital Sound Studies, edited by Mary Caton Lingold, Darren Mueller, and Whitney Trettien, explore the transformative potential of digital sound studies to create rich, multisensory experiences within scholarship, building on the work of digital humanists to evaluate and historicize new technologies and forms of knowledge. Domestication Gone Wild, a collection edited by Heather Anne Swanson, Marianne Elisabeth Lien, and Gro B. Ween, offers a revisionary exploration of domestication as a narrative, ideal, and practice that reveals how our relations with animals and plants are intertwined with the politics of human difference. In Paradoxes of Hawaiian Sovereignty J. Kēhaulani Kauanui examines contradictions of indigeneity and self-determination in U.S. domestic policy and international law, showing how Hawaiian elites’ approaches to reforming land, gender, and sexual regulation in the early nineteenth century that paved the way for sovereign recognition of the kingdom complicate contemporary nationalist activism, which too often includes disavowing the indigeneity of indigenous Hawaiians. James N. Green’s Exiles within Exiles is a biography of the Brazilian revolutionary and social activist Herbert Daniel, whose life and political commitment shaped contemporary debates about social justice, gay rights, and HIV/AIDS. A Primer for Teaching Women, Gender, and Sexuality in World History, by Merry E. Wiesner-Hanks and Urmi Engineer Willoughby, is a guide for college and high school teachers who are teaching women, gender, and sexuality history for the first time, for experienced teachers who want to reinvigorate their courses, for those who are training future teachers to prepare their own syllabi, and for teachers who want to incorporate the subject into their world history classes. Pop América, 1965-1975, edited by Esther Gabara, is a bilingual, fully illustrated catalogue that accompanies a traveling exhibition of the same name. Pop América, 1965-1975 presents a vision of Pop art across the Americas as a whole. The exhibition appears at the McNay Museum of Art in San Antonio from October 4, 2018 until January 13, 2019 and then moves to the Nasher Museum of Art at Duke University from February 21 to July 21, 2019. It will finally be featured at the Mary and Leigh Block Museum of Art at Northwestern University from September 21 to December 8, 2019. In the still-timely twentieth anniversary edition of Written in Stone—which includes a new preface and an extensive afterword—Sanford Levinson considers the debates and conflicts surrounding controversial monuments to public figures throughout the American South and the world. Welcome to September! As the new academic year begins, we’ve got some great new books for you to dig into. Imani Perry’s Vexy Thing recenters patriarchy to contemporary discussions of feminism through a social and literary analysis of cultural artifacts—ranging from nineteenth-century slavery court cases and historical vignettes to literature and contemporary art—from the Enlightenment to the present. Providing a history of experimental methods and frameworks in anthropology from the 1920s to the present, Michael M. J. Fischer’s Anthropology in the Meantime draws on his real world, multi-causal, multi-scale, and multi-locale research to rebuild theory for the twenty-first century. In Jezebel Unhinged Tamura Lomax traces the historical and contemporary use of the jezebel trope in the black church and in black popular culture, showing how it disciplines black women and girls and preserves gender hierarchy, black patriarchy, and heteronormativity in black families, communities, cultures, and institutions. Gathered from Rafael Campo’s over-twenty-year-career as a poet-physician, Comfort Measures Only includes eighty-eight poems—thirty of which have never been previously published in a collection—that pull back the curtain in the ER, laying bare our pain and joining us all in spellbinding moments of pathos. In Garbage Citizenship Rosalind Fredericks traces the volatile trash politics in Dakar, Senegal, to examine urban citizenship in the context of urban austerity and democratic politics, showing how labor is a key component of infrastructural systems and how Dakar’s residents use infrastructures as a vital tool for forging collective identifies and mobilizing political action. Edward Dorn’s Gunslinger is an anti-epic poem that follows a cast of colorful characters as they set out the American West in search of Howard Hughes. This expanded fiftieth anniversary edition of Dorn’s wild and comedic romp includes a new foreword by Marjorie Perloff, an essay by Michael Davidson, and Charles Olson’s “Bibliography on America for Ed Dorn”. 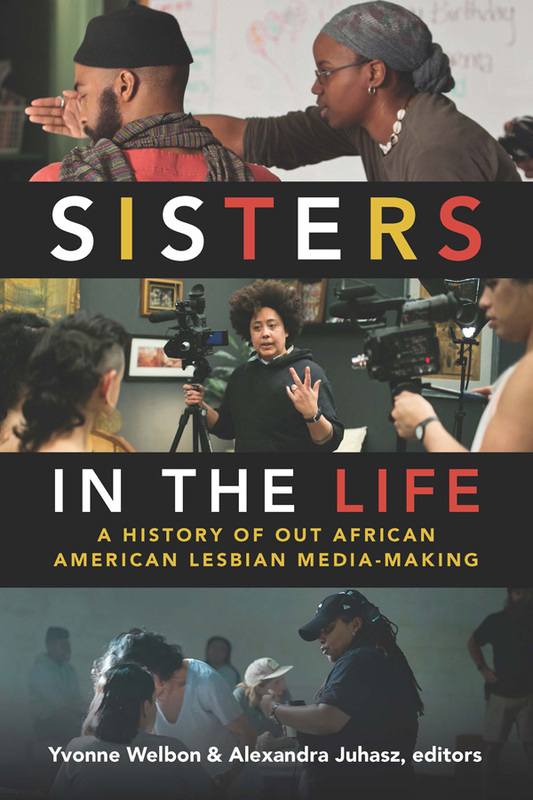 In Technicolored Black feminist critic Ann duCille combines cultural critique with personal reflections on growing up with TV as a child in the Boston suburbs to examine how televisual representations of African Americans—ranging from I Love Lucy to How to Get Away with Murder—have changed over the last sixty years. The summer is almost over, but August brings lots of great books to read while you prepare for the new semester. Check out what’s coming this month! Now available for the first time in nearly forty years, James Baldwin’s only children’s book Little Man, Little Man follows the day to day life of the four year old protagonist TJ and his friends in their 1970s Harlem neighborhood as they encounter the social realities of being black in America. Highly praised in Kirkus Reviews, Publishers Weekly, and School Library Journal, this exciting new edition is a must-buy for Baldwin fans. In Decolonizing Extinction Juno Salazar Parreñas traces the ways in which colonialism and decolonization shape relations between humans and nonhumans at a Malaysian orangutan rehabilitation center, contending that considering rehabilitation from an orangutan perspective will shift conservation biology from ultimately violent investments in population growth and toward a feminist sense of welfare. Boaventura de Sousa Santos’s The End of the Cognitive Empire further develops his concept of the “epistemologies of the South,” in which he outlines a theoretical, methodological, and pedagogical framework for challenging the dominance of Eurocentric thought while showing how an embrace of the forms of knowledge of marginalized groups can lead to global justice. Attending to the everyday lives of infrastructure across four continents, the contributors to The Promise of Infrastructure, edited by Nikhil Anand and Akhil Gupta, demonstrate how infrastructure such as roads, power lines, and water pipes offer a productive site for generating new ways to theorize time, politics, and promise. In The Blue Clerk award-winning poet Dionne Brand explores memory, language, culture, and the nature of writing through a series of haunting prose poems that contain dialogues between the figure of the poet and the Blue Clerk, who is tasked with managing the poet’s discarded attempts at writing. Radhika Mongia’s Indian Migration and Empire outlines the colonial genealogy of the modern nation-state by tracing how the British Empire monopolized control over migration, showing how between its abolition of slavery in 1834 and World War One, the regulation of Indians moving throughout the Commonwealth linked migration with nationality and state sovereignty. In Experimental Practice Dimitris Papadopoulos explores the potential for building new forms of political and social movements through the reconfiguration of the material conditions of existence. Melissa Hackman’s Desire Work traces the experiences of Pentecostal “ex-gay” men in Cape Town, South Africa, as they attempted to cure their homosexuality, forge a heterosexual masculinity, and enter into heterosexual marriage through various forms emotional, bodily, and religious work. In Double Negative Racquel J. Gates examines the potential of so-called negative representations of African Americans in film and TV, from Coming to America to Basketball Wives and Empire, showing how such representations can strategically pose questions about blackness, black culture, and American society in ways that more respectable ones cannot. In her impassioned, analytical, playful, and irreverent book Laughing at the Devil, theologian Amy Laura Hall takes up Julian of Norwich’s call to laugh at the Devil as a means to transform a setting of dread and fear into the means to create hope, solidarity, and resistance. The contributors to Ethnographies of U.S. Empire, edited by Carole McGranahan and John Collins, examine how people live in and with empire, presenting ethnographic scholarship from across U.S. imperial formations, from the Mohawk Nation, Korea, and the Philippines to Guantánamo and the hills of New Jersey. In Across Oceans of Law Renisa Mawani charts the story of the Komagata Maru—a steamship that left Hong Kong for Vancouver in 1914 carrying 376 Punjabi immigrants who were denied entry into Canada—to illustrate imperialism’s racial, legal, spatial, and temporal dynamics and how oceans operate as sites of jurisdictional and colonial contest. Micol Seigel’s Violence Work redefines policing as “violence work,” showing how it is shaped by its role of channeling state violence and how its status as a civilian institution obscures its ties to militarization. The contributors to Constructing the Pluriverse, a volume edited by Bernd Reiter, explore how non-Western, pluriversal approaches to core questions in the social sciences and humanities can help to dramatically rethink the relationship between knowledge and power. Straight A’s features personal narratives of Asian American undergraduate students at Harvard University in which they reflect on their shared experiences with discrimination, stereotypes, immigrant communities, their relationship to their Asian heritage, and the difficulties that come with being expected to reach high levels of achievement. This timely new book edited by Christine Yano and Neal Adolph Akatsuka will help inform current debates about Asian American students in elite educational institutions. In Migrants and City-Making Ayşe Çağlar and Nina Glick Schiller trace the lived experiences of migrants in three cities struggling to regain their former standing, showing how they live and work in their new cities in ways that require them to negotiate the unequal networks of power that connect their lives to regional, national, and global institutions. In 1968 Mexico Susana Draper puts the events and aftermath of 1968 Mexico into a global picture and counters the dominant cultural narratives of 1968 by giving voice to the Mexican Marxist philosophers, political prisoners, and women who participated in the movement and inspired alternative forms of political participation. Art and Theory of Post-1989 Central and Eastern Europe, the latest volume of MoMA’s Primary Documents edited by Ana Janevski, Roxana Marcoci, and Ksenia Nouril, reflects on the effects that communism’s disintegration across Central and Eastern Europe—including the Soviet Union’s fifteen republics—had on the art practices, criticism, and cultural production of the following decades. We had a great time in Toronto at the annual conference of the Society for Cinema and Media Studies last week, selling books and journals and meeting authors and editors. Congratulations to Karl Schoonover and Rosalind Galt, whose book Queer Cinema in the World won the Katherine Singer Kovacs award for outstanding scholarship in cinema and media studies. We enjoyed a wine and cheese party celebrating the relaunch of our Camera Obscura book series (which is associated with our journal of the same name. Archiveology by Catherine Russell and Sisters in the Life edited by Yvonne Welbon and Alexandra Juhasz are the most recent books in the series. Pamela Wojcik served as president of SCMS this year. She stopped by our booth to pose with her 2010 book The Apartment Plot. Her new edited collection, The Apartment Complex, is out in October. It’s always great to welcome authors and editors to the booth. Here are Lynn Comella, Rielle Navitski, Catherine Russell, and Yvonne Welbon and Alexandra Juhasz. If you missed the meeting, you don’t have to miss the sale! Shop all our great media studies titles now and save 30% using coupon code SCMS18. Our Latin American Studies authors are well known for their work in anthropology, art, cultural studies, Caribbean studies, Chicanx and Latinx studies, history, literature, film and media, and politics. Our Latin American studies e-book collection includes over 500 titles in these subject areas. 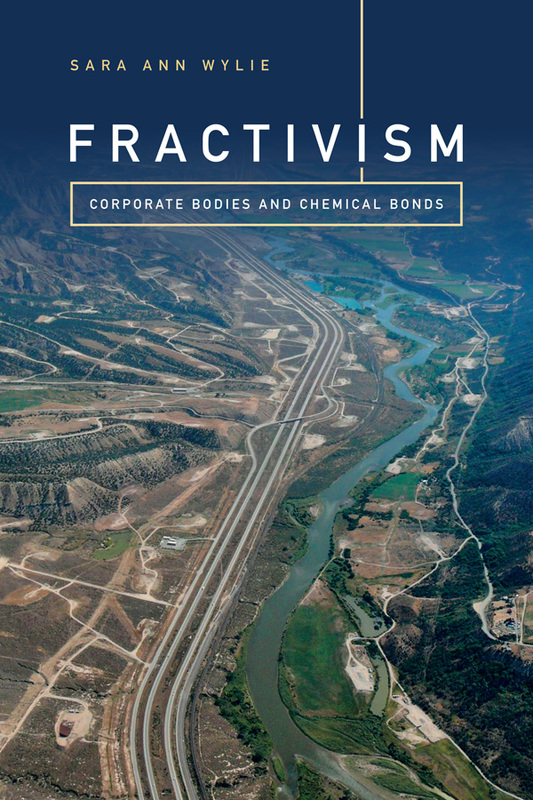 Many of our journals also cover Latin America. If you’re interested in gaining access to these resources, have your librarian contact our Library Relations team to get more information. View the title list for the Latin American Studies collection, which features more than 500 e-books. We spent last weekend in Chicago for the 2017 Society for Cinema and Media Studies conference—it was wonderful to see authors, sell books and journals, and celebrate prize-winning books! Allison McCracken’s Real Men Don’t Sing was a co-winner of the Best First Book Award. Birth of an Industry by Nicholas Sammond received the 2017 Award of Distinction for the Katherine Singer Kovács Book Award, and Homay King’s Virtual Memory received the 2017 Award of Distinction for the Anne Friedberg Innovative Scholarship Award. Congratulations to these outstanding authors! You can still order books from our website using the conference discount—just use coupon code SCMS17 at checkout for 30% off your order! Today is International Women’s Day (IWD), a global day celebrating the social, economic, cultural, and political achievements of women. Since the early 1900s, this day has been a powerful platform that unifies tenacity and drives action for gender parity globally. IWD organizers are calling on supporters to help forge a better-working and more gender-inclusive world. In honor of this year’s International Women’s Day, we are pleased to share these recent books and journals from Duke University Press that support this year’s IWD theme: #BeBoldForChange. This special double issue of TSQ goes beyond the simplistic dichotomy between an exclusionary transphobic feminism and an inclusive trans-affirming feminism. Exploring the ways in which trans issues are addressed within feminist and women’s organizations and social movements around the world, contributors ask how trans, genderqueer, and nonbinary issues are related to feminist movements today, what kind of work is currently undertaken in the name of trans/feminism, what new paradigms and visions are emerging, and what questions still need to be taken up. Central to this special issue is the recognition that trans/feminist politics cannot restrict itself to the domain of gender alone. In The Revolution Has Come Robyn C. Spencer traces the Black Panther Party’s organizational evolution in Oakland, California, where hundreds of young people came to political awareness and journeyed to adulthood as members. Challenging the belief that the Panthers were a projection of the leadership, Spencer draws on interviews with rank-and-file members, FBI files, and archival materials to examine the impact the organization’s internal politics and COINTELPRO’s political repression had on its evolution and dissolution. She shows how the Panthers’ members interpreted, implemented, and influenced party ideology and programs; initiated dialogues about gender politics; highlighted ambiguities in the Panthers’ armed stance; and criticized organizational priorities. Spencer also centers gender politics and the experiences of women and their contributions to the Panthers and the Black Power movement as a whole. Providing a panoramic view of the party’s organization over its sixteen-year history, The Revolution Has Come shows how the Black Panthers embodied Black Power through the party’s international activism, interracial alliances, commitment to address state violence, and desire to foster self-determination in Oakland’s black communities. In bringing together a geographically and temporally broad range of interdisciplinary historical scholarship, this issue of Radical History Review offers an expansive examination of gender, violence, and the state. Through analyses of New York penitentiaries, anarchists in early twentieth-century Japan, and militarism in the 1990s, contributors reconsider how historical conceptions of masculinity and femininity inform the persistence of and punishments for gendered violence. The contributors to a section on violence and activism challenge the efficacy of state solutions to gendered violence in a contemporary US context, highlighting alternatives posited by radical feminist and queer activists. 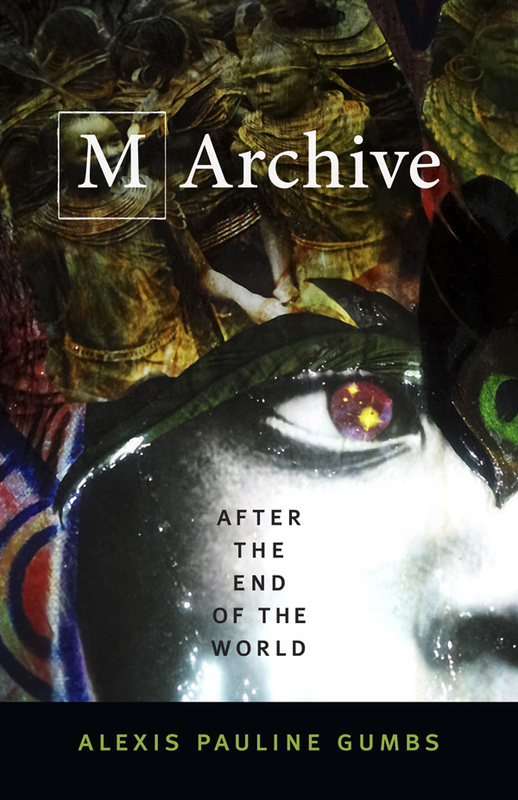 In five case studies drawn from South Africa, India, Ireland, East Asia, and Nigeria, contributors analyze the archive’s role in shaping current attitudes toward gender, violence, and the state, as well as its lasting imprint on future quests for restitution or reconciliation. This issue also features a visual essay on the “false positives” killings in Colombia and an exploration of Zanale Muholi’s postapartheid activist photography. The editors and contributors to Color of Violence ask: What would it take to end violence against women of color? Presenting the fierce and vital writing of INCITE!’s organizers, lawyers, scholars, poets, and policy makers, Color of Violence radically repositions the antiviolence movement by putting women of color at its center. The contributors shift the focus from domestic violence and sexual assault and map innovative strategies of movement building and resistance used by women of color around the world. The volume’s thirty pieces—which include poems, short essays, position papers, letters, and personal reflections—cover violence against women of color in its myriad forms, manifestations, and settings, while identifying the links between gender, militarism, reproductive and economic violence, prisons and policing, colonialism, and war. At a time of heightened state surveillance and repression of people of color, Color of Violence is an essential intervention. This issue is penned entirely by female foreign policy experts and journalists and “imagines a world where we wouldn’t need to interpret to be heard at the table. In reconstructing a media landscape where the majority of foreign policy experts quoted, bylined, and miked are not men, we quickly gain deeper insight into a complex world, one historically narrated by only one segment of society,” co-editors Elmira Bayrasli and Lauren Bohn write. Bayrasli and Bohn lead Foreign Policy Interrupted, a program that mentors, develops, and amplifies the voices of women in the international policy field. Foreign Policy Interrupted combats the industry’s gender disparity through a visibility platform and a cohesive fellowship program, including media training and meaningful mentoring at partnering media institutions. The program helps women break both internal and external barriers. In The Misinterpellated Subject, James R. Martel complicates Louis Althusser’s theory of interpellation, using historical and literary analyses ranging from the Haitian Revolution to Ta-Nehisi Coates to examine the political and revolutionary potential inherent in the instances when people heed the state’s call that was not meant for them. Fans of literature and iconic literary theorist Slavoj Žižek should enjoy Everything You Always Wanted to Know about Literature but Were Afraid to Ask Žižek. This volume demonstrates the importance of Slavoj Žižek’s work to literary criticism and theory by showing how his practice of reading theory and literature can be used in numerous theoretical frameworks and applied to literature across historical periods, nationalities, and genres, creating new interpretations of familiar works. In analyses of digital death footage—from victims of police brutality to those who jump from the Golden Gate Bridge—Jennifer Malkowski’s Dying in Full Detail considers the immense changes digital technologies have introduced in the ability to record and display actual deaths—one of documentary’s most taboo and politically volatile subjects. Mark Rifkin’s Beyond Settler Time disrupts settler temporal frameworks. Rifkin explores how Indigenous experiences with time and the dominance of settler colonial conceptions of temporality have affected Native peoplehood and sovereignty, thereby rethinking the very terms by which history is created and organized around time by. In The Magic of Concepts, Rebecca E. Karl interrogates the concept and practice of “the economic” as it was understood in China in the 1930s and the 1980s and 90s, showing how the use of Eurocentric philosophies, narratives, and conceptions of the economic that exist outside lived experiences fail to capture modern China’s complex history. Kaushik Sunder Rajan, in his latest book Pharmocracy, works at the confluence of politics and racial capitalism. He traces the structure and operation of what he calls pharmocracy—a concept explaining the global hegemony of the multinational pharmaceutical industry. He outlines pharmocracy’s logic in two case studies from contemporary India to demonstrate the stakes of its intersection with health, politics, democracy, and global capital. Want to make sure you don’t miss a new book? Sign up for Subject Matters, our e-mail newsletter.